The new VMC 7116 CB Saltwater Trolling/Fly series has arrived. Incorporating a forged, octopus style, wide gape, non-offset long shank, this range is ideal for rigging light game skirted lures or tying large saltwater flies. CB stands for the new Coastal Black finish, unique to VMC. It’s the ultimate combination of an innovative coating for extreme corrosion resistance and a premium hook finishing process for maximum sharpness, offering the longest lasting black finish in the saltwater market today. Chemically sharpened to perfection, the unique VMC Needle Sharp ground needle point design combines maximum resistance and needle-sharp penetration for exceptional sharpness. 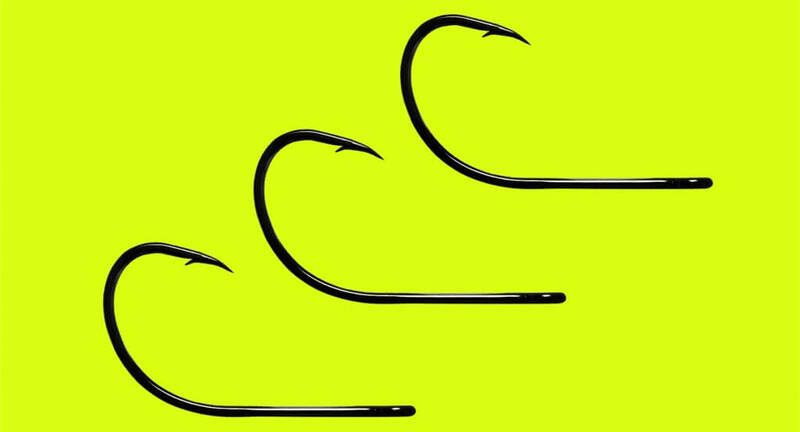 Available in 2/0, 4/0, 6/0, 8/0, 9/0 and 10/0 sizing, these hooks will assist in targeting many species including marlin, GTs, barra, tuna and golden trevally.